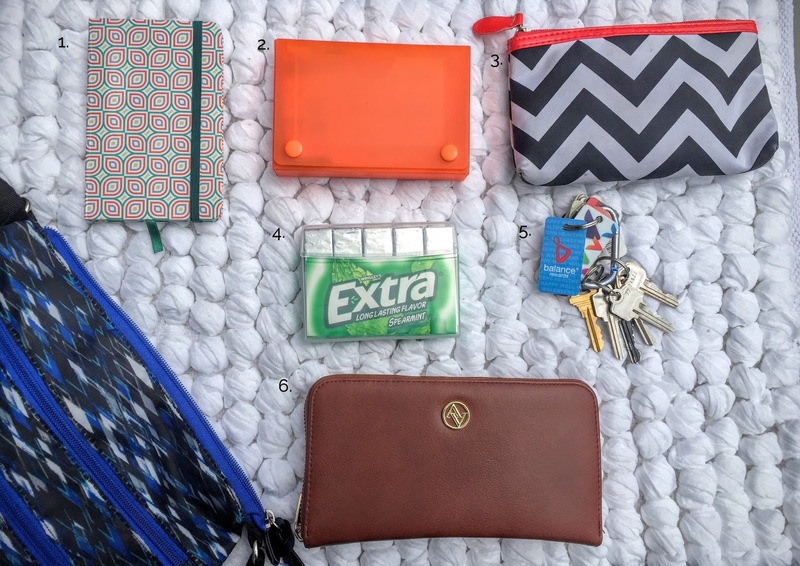 Make a habit of emptying your purse every night. This keeps you from accumulating a lot of junk. Make a routine of getting rid of receipts, empty snacks wrappers, etc. each night, maybe right before bed or while dinner is cooking. Be sure to check your wallet for wayward receipts as well. Have a designated receptacle for coupons. I hate to crowd up my wallet with coupons. I also don't like them getting crumpled up all over my purse. I have a designated coupon container that I can carry daily, or grab just when I'm headed to a store. Have a designated feminine product receptacle. Feminine products can end up all over your purse and become hard to find if you leave them loose. Put all your feminine products in their own container to keep your purse organized. This also allows you to grab just your feminine product bag when you go to the bathroom and not your whole purse. So, what's in my purse? If you have a small notebook on hand you avoid writing things down on scraps of paper and carrying scraps of paper around that can get lost easily. I use a recipe card holder for my coupons. This is a good container for coupons because it has separated sections that allow you to organize your coupons based on type. So not only do you get your coupons out of your purse, you also categorize them so they are easy to find. I use a small makeup bag to hold my feminine products. This is good because I can easily remove the bag when I don't need them with me, and the bag is cute to carry on it's own to the restroom. The new Extra® 35-stick pack offers durable, recycled packaging so your gum doesn't get smashed in your purse. 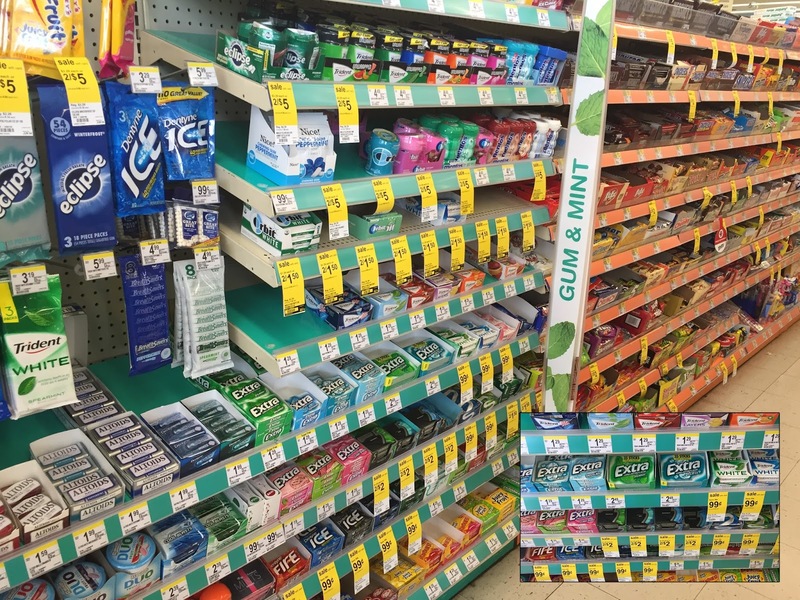 The bulk package also allows for you to have more gum so you're never without a stick or feel like you can't share. With 35 sticks I only need one in my purse at a time, but I do have a backup Extra® Gum Polar Ice® flavor that I keep at home. The new Extra® 35-stick pack can be easily found in your local Walgreens. Don't leave home without your keys or wallet! A good key organization tip is to audit the various membership keys on your key ring once a year (New Year's Day is a good time to do this!) and get rid of cards for stores you no longer shop at or memberships you no longer have. 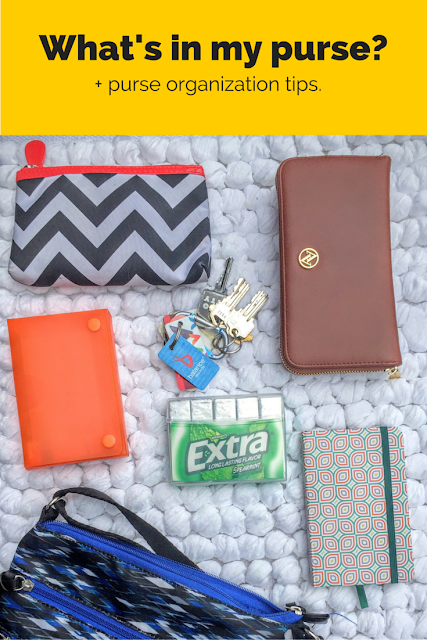 Keep your purse organized and grab an Extra® 35-stick pack today! Oh my gosh, you're so organized. MY PURSE IS A MASSIVE DISASTER. I normally pride myself on being super organized but I've never thought to have a little pouch for my feminine products. That's so smart! I love that this Extra packaging is smash-proof... I hate when my gum pack is destroyed in my purse. This'll come in handy. I need to be more mindful of cleaning out my purse!! Mine is a hot mess right now! Love these ideas. I recently downsized my purse in hopes of achieving order to no avail. I somehow managed to stuff all the junk I had in my large one into the smaller one and now things are melding together or lost completely.